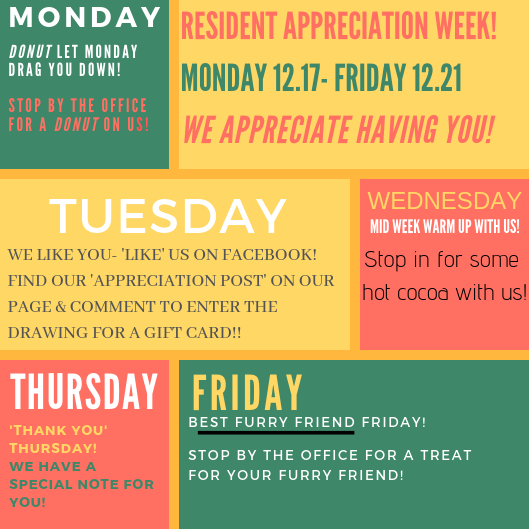 Resident Appreciation Week! We appreciate our residents and can't wait to celebrate them! Live where you're loved, with us! 3022 1/2 North 97th St.